Okay - so I beat the game already with my ranger and his wolf companion... So I thought I'd try something different. I'd go for a spell casting type - like a Druid (it's one step away from a Ranger). Now.. the problem I am having is - when combat starts, I am clicking on the foe to tell the party to attack - my druid is running up there - whether he has swords or fists - to physically attack. I set his AI to "Cautious Druid" and "Passive" - so I figured he would NOT attack. This would give me an opportunity during combat to try some spells (which I never even used with my Ranger... literally did Ranger originally to have my wolf companion). But no matter what - my Druid rushes into combat. The only way I've gotten around this is - clicking the target - then clicking my druid (so only he's selected), click away from direct melee, then click him again to cast a spell - and oh, look. The party already killed the monster. From time to time, when my druid shifts to bear form and gets knocked out - he stands up (before combat is over) - as if he were "alive" - but can't do anything. (Similar to monsters/mobs you kill, who die - but stay standing up). But this happens so randomly, it's nearly impossible to replicate to see exactly what's causing it. If you have your party selected and click on a foe to attack it, that overrides the AI -- you've just commanded an attack. Is that what you are doing? If so, you shouldn't be surprised. If you don't want him to attack, don't tell him to attack, and his AI will take over. I heard that it's also very effective to yell "DON'T ATTACK" at your monitor as loud as you can. Do this and everyone will act the way you want them to. well, if you don't want him to run up and say hi to his enemies, but still want to order him to attack, maybe try a ranged weapon, like a rod or wand? If you want the AI behaviour to take over, simply sneek into detection range of the nearest enemy and then switch off stealth. All Party members will start doing what their AI tells them. Turn his AI off and take direct control of him yourself...? Then we won't do anything unless you tell him to. Maybe also turn the combat speed down a notch. I found with both Pillars games that default combat speed was too fast for me to really get what was going on,, and the slower speed actually enables me to more easily micromanage my party (when I want to) without having to turn on "pause on completion of action" of every few seconds. One notch down isn't like the fight is in slow motion or anything, not really. As has been mentioned above, unless you are wielding a ranged weapon in at least one hand, clicking on someone will make you attack them in melee. Or pick a spell and then select the target. 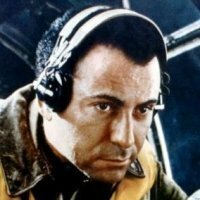 How do you turn down combat speed? there's like this little clock/gears looking circular thing on the bottom center of your screen, there are a few small little buttons there. (sorry, i don't recall the keyboard commands off hand). Wow. Never noticed that. Thanks! Slider below “round pause thing in the middle of the UI” allows for slowing down/acccelerating combat. I found the thing a bit too fiddly so I recommend setting shortcuts for it in options. I'm not sure if English is not your first language but I can't tell what your initial steps are. > Now.. the problem I am having is - when combat starts, I am clicking on the foe to tell the party to attack - my druid is running up there - whether he has swords or fists - to physically attack. I can come up with some strategies to help you, but only if I know exactly what you're doing at the start of combat. ... he always had a wand/rod in his hand. So that makes sense. I can't remember what my druid is equipped with (I think it's a dagger)... so that'd explain his blood lust of running up and wanting to poke people. I think the ranged weapon thing will do the trick... going to try that now. By the Deadfire! I never noticed that little thing... I always thought it was decoration of the UI...! English is indeed my primary language... everyone else seemed to get what I was saying. Essentially when I clicked attack - I want my druid to hang back and not rush up and either stab or melee punch the enemy. The suggestion of a distance attack weapon is probably going to resolve my issue. Yeah my guys with lighter armor I prefer to have ranged weapons like bows, crossbows, arquebuses, pistols, blunderbuss (though I can't stand these), rod, sceptor, or wand. I generally give this to my mages, druids, and priests, and rangers for obvious reasons. Ciphers and chanters I prefer to be ranged as well. i usually pause & micromanage every few seconds. so for me it's usually something like pause. eder go over here knock this guys on his ***, move my character here attack this guy with flames of devotion, maia use wounding shot on that mage, and send your hawk to knock his boots off, aloth put a fireball here, adjust firezone about half way through casting, and xoti move here and cast a bit of healing. So you're ordering your character to attack, and then you're complaining that your character is attacking? Forgive me, but this seems like a rather stupid complaint. I'm still wondering why dev's have not implemented a hold button to tell your dumb party members not to walk inside your own chilling fog. It would be nice. If I recall correctly I remember in BG's there was an option to do it. Please, implement it someday it shouldn't be too hard to do. i usually resort to manually dragging them out of harms way, wish they wouldn't run right back into it though. Yup! Equiping the Druid with a rod has stopped him from just charging into battle. But, by Adra's Illumination do spells take a long time to cast - even now that I am able to control my druid much better. Even those first level spells! i usually pause & micromanage every few seconds. Also why - when a trap is spotted - they insist on still walking over it because I had clicked past the trap before it was spotted. You'd think they'd stop from walking across a spotted trap. I am not sure what you're missing (that everyone else picked up on) - but the issue was the druid was rushing into battle (and as I said, I never did the caster, so I wasn't sure why he was - despite setting the AI and what not to be passive) - and that I wasn't aware clicking the attack would over ride that AI. But your... feedback... is noted... and I am thankful other folks in the thread understood me quite clearly and helped me resolve the problem of me not understanding a specific mechanic to the game without coming across so... unique. i got used to playing chess, and old school strategy games. so basically i strategically position my party, and make all my initial moves at once, adjusting for time, as it might take longer for my melee characters to get into striking range, when compared to my mage casting spells or my ranger sniping. in the original dragon age there was an achievement called tactician. to earn this you had to eliminate 250 enemies without any of your party members taking damage in the exchange. i miss achievements like that. Okay back to my noob questions: How do you adjust a firezone half way through casting? If I try to change the landing asurface, they start the whole casting process again (and usually by the time they are done there is either no one there or the wrong people). when you have a mage casting a spell you'll notice a small spell icon now on the battlefield (at least if you have the mage selected), if you click and hold that icon you can reposition it within the mages range. 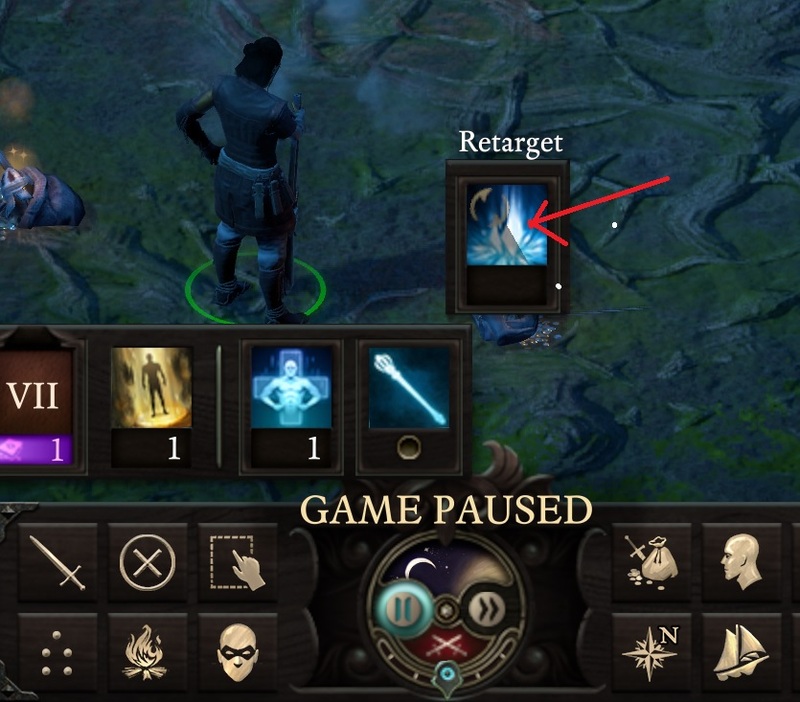 also there's usually a little micro icon above the spell being cast (think it's says retarget, though can't be sure bout that bit), i believe clicking on that may also allow you to reposition the spell target space. figured i didn't have to say this (but why risk it if ya don't have to), it doesn't work if the spell has already fired and is currently speeding to it's target. you can retarget it up to the point it has finished casting and is unleashed, but when the spell is airborn it's gone. Am I missing something? Why don't you just turn off his AI? i think he wants his characters to execute their ai routine after he clicks a target, and have them auto cast/attack/etc, without the attack order overriding the ai? though the game doesn't actually work like that... i think? i'm not really clear either honestly.